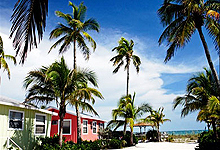 We list and link EVERY lodging provider in Sanibel / Captiva that we know of. Like this page ?? 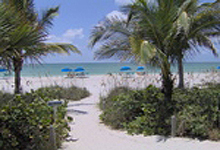 Visit Beachdirectory.Com for even more detailed information about Sanibel / Captiva. Two heated swimming pools ! Relax and enjoy our tropical island beach paradise! Traditional island style - beach front location! Our amazing beach side cottages are quietly tucked away on Shell Basket Lane. You can listen to the waves lap upon our shores from every hotel room, from efficiency to beach house. Come and enjoy Gulf Breeze Cottages. You can discover what generations of vacationers already know - Our traditional island style cottages are the perfect beach-front location! 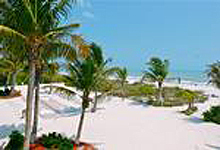 The Holiday Inn Beach Resort Hotel on Sanibel Island is located on one of the most beautiful sanctuary islands in the world with the warm waters of the Gulf of Mexico as our own back yard. Sanibel Island is renowned for its natural beauty and habitat, miles of unspoiled beaches, world famous shell collecting, an array of activities, water sports, fishing and exceptional restaurants. Come stay in one of our charming beach cottages or efficiencies, just steps from the beach. Our unique property rests amid lush landscaping and is the perfect place for a romantic getaway, or for those looking for a quiet retreat where they can forget their worries. Near the new Shell Museum and the J. Ding Darling Wildlife Refuge, the West Wind Inn offers group rates, a guest restaurant and conference facilities. Pool and pool bar overlook the Gulf of Mexico. Splashing pool for toddlers. Many package specials, including eco-tours. Personal service is paramount at West Wind Inn ! 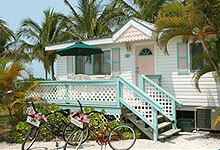 Over 100 vacation rentals on Captiva ! From one to five bedroom, from condos to luxury private homes. We want all our guests to be happy here, which is why we match your needs to our various condos and houses and price ranges. We'll see that you get the best value and so enjoy your best vacation. And we'll see you on Captiva! 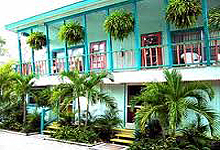 Beachview Cottages is a lush tropical hideaway on Sanibel Island. Amenities include a heated swimming pool, laundry facilities, fish and shell cleaning area, and we are pet-friendly. Plus bicycle and beach chair rentals. Enjoy the close of the day with a breathtaking sunset over the beautiful Gulf of Mexico. One- and two-bedroom circa 1960s cottages and studio apartments are available. The Blue Dolphin offers a selection of accommodations in its 9 units, either bright and airy efficiencies, or spacious one bedroom suites. All our units are with completely equipped kitchens, phones and cable television. Each unit has a comfortable sun deck surrounded by lush tropical landscaping. With our compliments, you will enjoy a delicious continental breakfast every morning. Our location makes it easy for you to enjoy the fine shops, fabulous restaurants, art galleries, and an old-style general store - all within walking distance. You�ll enjoy strolling along the shore - looking out over the Gulf of Mexico and sorting through the piles of seashells left there by the previous tide. 6 wonderful units! 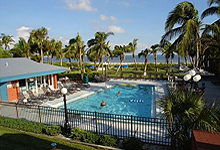 The Caribe Beach Resort is located on Sanibel Island, in Florida, and makes for a great vacation getaway. The Caribe Beach Resorts rooms are recently renovated and are furnished with all the amenities you expect and has a beautiful pool surrounded by lush tropical plant life. This is a cozy and affordable island resort that you will return to for many years to come. Natural, secluded, and exclusive, Casa Ybel Resort epitomizes the sanctuary, old-island spirit of Sanibel. Occupying 23 acres of beachfront property isolated from commercial enterprise, the resort forms a sheltered getaway where romantic surroundings and outdoor recreation attract couples and families alike. Directly on the Gulf of Mexico - reasonable rates! 98 rooms and 2 suites. Refrigerators and coffee makers in all rooms, king size beds available. 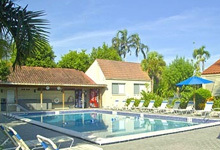 Two tennis courts, bicycle rentals, heated pool, poolbar and and on-premise restaurant. Sit back, relax a bit and prepare for a truly unique experience. Discover the treasures of Sanibel Island. Create memories of a lifetime! 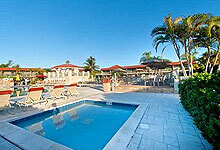 Located directly on a wide sandy beach with some of the best shelling in the world. There are plenty of activities to explore by bike, boat or even walking. Sanibel's art galleries, shops and restaurants provide the ambiance to make your stay at Pelicans Roost a most memorable experience! Beachfront, with bay views as well. A Fort Myers jewel. 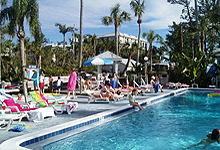 Recognized as the only AAA three-diamond and Mobil three-star Fort Myers hotel resort on the island, the Pink Shell Beach Resort & Spa has been drawing visitors from around the world for more than half a century. An extraordinary hotel masterpiece at the tip of a tropical island. 12 acres of resort and 1,500 feet of pristine white-sand beaches. Our picture says it all ! The Sandpiper Inn offers spacious, bright, spotlessly-clean, modern air-conditioned suites with living rooms and complete kitchens. Porches with rocking chairs, and balconies with ceiling fans are just a part of a true tropical island experience at the Sandpiper Inn. When you book your stay with us, you'll get more than just a "vacation rental" the amenities of our spacious condominiums feature two bedrooms, two baths, living & dining rooms, full kitchens and large, private balconies with screened-in porches. All units have central air conditioning. The comfortable clubhouse, exclusive screened-in, heated freshwater, resort pool and inviting sun deck are also perfect assets for family fun and sociable relaxation. There is even a centrally located Laundromat for your convenience. Explore like a tourist, live like a native ! Vacation rentals of more than 100 privately owned homes and condominiums on beautiful Sanibel and Captiva Islands and mainland Fort Myers. With everything from 1-bedroom condos to 5-bedroom gulf-front homes, we are sure to have accommodations to fit any taste and budget. Get the best in guest services at Sanibel Holiday! Located directly on the Gulf of Mexico, this intimate island resort is located in a nature preserve. We provide full-service dining, recreational outlets, executive meeting facilities, children�s discovery programs, and many other amenities. Discover a tropical paradise at Sanibel Moorings - a picturesque getaway in a breathtaking location directly on the Gulf of Mexico. Boasting luxurious resort condominiums, a wide stretch of private shell covered beach, enchanting botanical gardens and virtually unlimited recreation, we create memories as plentiful as the sands. 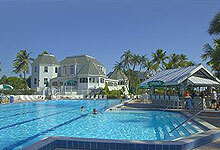 Sanibel Moorings offers the conveniences of a resort location with all the advantages of a private home. Our fully furnished 1, 2 and 3 bedroom condo suites all feature a living room, dining area, full kitchen and a large, private screened lanai. In the "Olde Florida" tradition of this Sanibel Island getaway, all 32 non-smoking units boast porches or balconies. 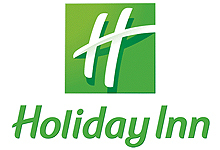 Complimentary bicycles, complimentary daily continental breakfast basket delivered to guest rooms. Access to recreational activities, tennis and golf at other South Seas Resorts' properties throughout Sanibel and Captiva Islands and on Fort Myers Beach with charging privileges. 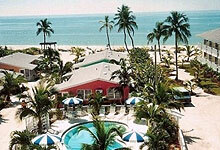 Shalimar is an Old Florida style resort with 33 units located directly on the Gulf of Mexico. Spacious heated swimming pool, guest laundry, bike and kayak rentals on property. Blending in with the natural beauty of the islands, Shalimar offers many features without spoiling the natural atmosphere. Stroll on our rustic boardwalk through a touch of wilderness with birds, fish, and our own resident alligator... All of our elevated beach condos are spacious and comfortable, with individual washer and dryers, plus fully equipped modern kitchens. We're also pet friendly, and invite you to bring up to two dogs or cats with you. Relax at our new solar Heated Pool and Jacuzzi Spa. Heated pool, whirlpool, shuffleboard court, daily continental breakfast served al fresco, free use of bicycles, beach umbrellas, chaise lounges, outdoor barbecue grill and video cassette players. Complimentary tennis at sister resort next door. Golfing available at the Dunes Golf & Tennis Club. Packages available. Commune with nature on a sailboat or kayak as you drift along warm Gulf waters, or simply relax on the breezy, screened balcony of your spacious suite. Our amenities include: one of the largest heated hotel pools on Sanibel, tennis court with free equipment usage, 2 shuffleboard courts, more than 350 feet of pristine white beach with complimentary chaise lounges, laundry room and free use of adult and child bicycles. Daily complimentary continental breakfast. We offer standard hotel rooms, studios with kitchenettes and a few 2-BR units with fully equipped kitchens. 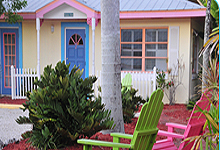 Sanibel Island's most charming Bed and Breakfast Inn, offers five luxurious attached cottages in close proximity to famous shelling beaches and the Gulf of Mexico. This inspired hideaway is hidden behind lush tropical plantings and offers a secluded Island backdrop for your vacation. A distinct character and quality set us apart from typical motels and hotels. The PalmView offers five luxurious, attached suites in close proximity to Sanibel's famous shelling beaches and the Gulf of Mexico. Tween Waters Inn offers every conceivable amenity for the pleasure of its guests... a magnificent pool complex with an Olympic size pool surrounded by a decked lounging area and poolside bar and grill, 3 tennis courts, fitness center and 3 restaurants. Olympic-size pool, hot tubs and children's wading pool. We also have a full service marina with boat slips. Arrive by boat if you like! 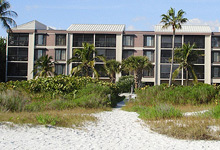 The vacation rental cottages and apartments are only steps away from the sugar-white, sandy beaches of Sanibel Island. We offer a heated swimming pool, BBQ grills, shuffleboard courts, and a staff that is friendly and able to help you with your vacation plans.